We had quite a bit of rain here last week but by Friday the weather was perfect and alot of visitors to the park. Not alot of action during the day, only the ones trolling in deep water about 10 metres on various colours of tassie devils were lucky. Later in the day of the bank it was all happening mudeyes were doing really well with the largest caught 1.8kg a rainbow just near the boat ramp.With powerbait it was the sherbert and salmon eggs they averaged around 500-800gm.Fly fishing caddis dry during the day and in the evening mudeye pattern with deer hair head was used.one of the fly fisherman reported when he cleaned his rainbow trout there were at least 60 mudeyes in it. The brute was heading for Buckenderra before submitting to the power of the Rod & reel. 3x rainbows & 1x brown at 1,4kg [3lb] cleaned & smoked up well compliments of a coolabah Gas smoker. 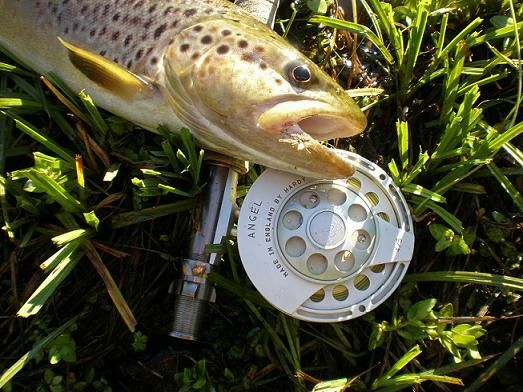 Saturday :- 7 gates produced this healthy 1.9kg brown on a Craig’s Nighttimes with a fly & float Rig, brown seem to favour late & early morning feeding patterns. 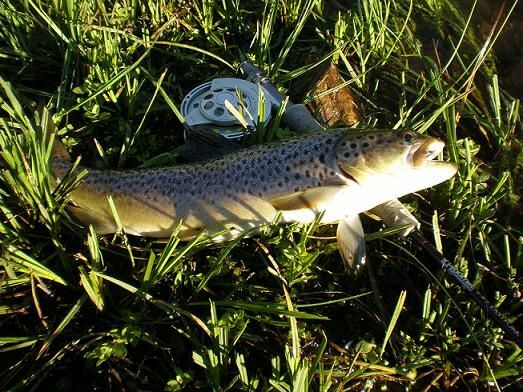 Monday:- 7 gates location again produced a 1.6kg brown trout on a Taihape tickler with a fly & float Rig. Together with some small & poor conditioned fish, Released hopefully to fight another day. Commonwealth Champs held in Tasmania that was won by Australia team gold. Individual Gold was also won by Australia Gold Team member Christopher Bassano (TAS). You may like to include on your reports site. Photo 2: The Australian gold Medal winning team (L-R, Craig Coltman (Captain - Vic), Joe Riley (Tas), Steve Seclier (Reserve - WA), Danny Spelic (NSW), Emilio Caggiano (NSW), Craig Carey (TAS) and Christopher Bassano (TAS and Individual Gold Medal Winner).